A well-placed police source with knowledge of the incident, who could not be named as he is not authorised to speak to the press, confirmed that two groups of EFF members had attempted to stake their claim on a tract of farm land on the outskirts of the town. 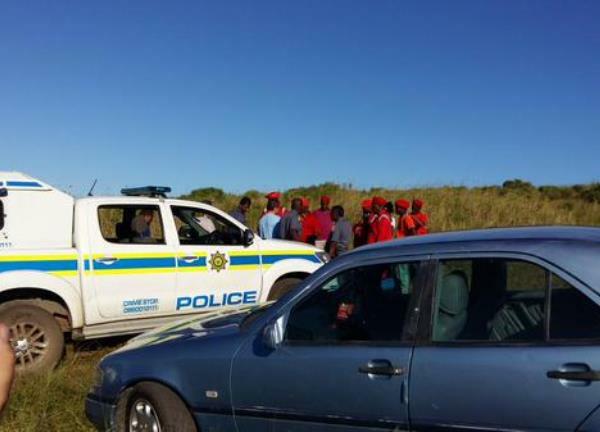 “This morning we had an incident with two groups of EFF members who tried to occupy a piece of the land which flanks the N2 near the entrance to Ballito. Police officers were called to the scene,” he said. “They were intent on claiming the piece of land which belongs to a local farmer who eventually came to the hilltop where they all were,” the source said. “The owner of the land spoke to them and everyone agreed to convene a meeting in two weeks. There is a process that needs to be followed with these land claims, you cannot just show up and expect to start building,” he said. Louis Kotze, of security firm Ballito Hawks, confirmed that the attempted land grab was ongoing. “The piece of land that they want can be seen from the N2 freeway and is just a stones throw from the middle of Ballito,” Kotze added. EFF KZN coordinator Vukani Ndlovu said his members would not be moved from the land. “Our members from that area do not have places to build so we encouraged them to look for land and go occupy and start to build their homes. They are going to erect their houses and once they have been there for 48 hours they cannot legally be removed. If the government wants to remove them they must go and accommodate them somewhere else,” Ndlovu said. “If they even try to move us we will meet them in court,” he added. The opinions in the Tweets above do not reflect the views of YOU or Media24, and are used for illustrative purposes only.